—Excerpt from draft city plan by London Mayor Sadiq Khan, who this week came out publicly in favor of installing water fountains and bottle refill stations across the city. One advocacy group estimates that in the UK about 35 million disposable water bottles are used every day. 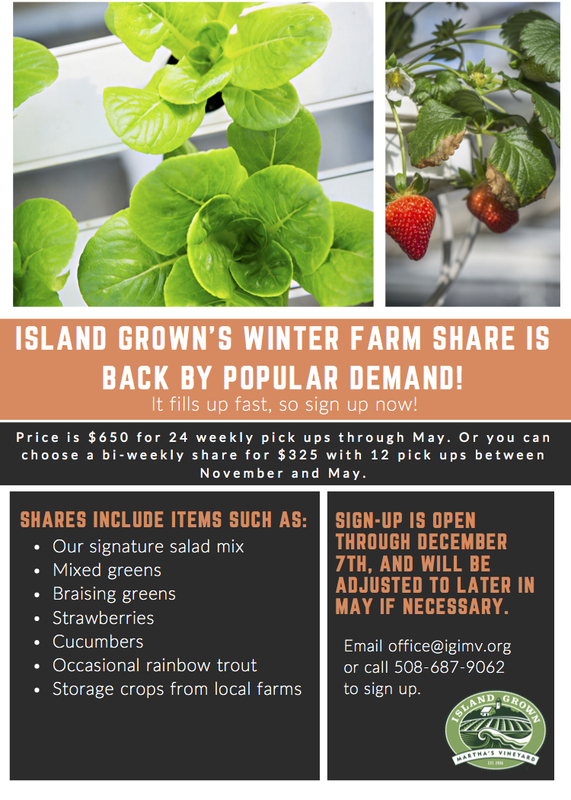 New sign-ups for Island Grown Initiative's Winter Farm Share are still being accepted, but time is running out! See flyer for details, or call (508) 687-9062 or email more info. In 1965, VCS worked with the Town of Gay Head (now Aquinnah) to secure a National Natural Landmark designation for the Gay Head Cliffs. Now, the federal government is working to undo protections of public lands, starting this week with the Bears Ears and Grand Staircase-Escalante national monuments. 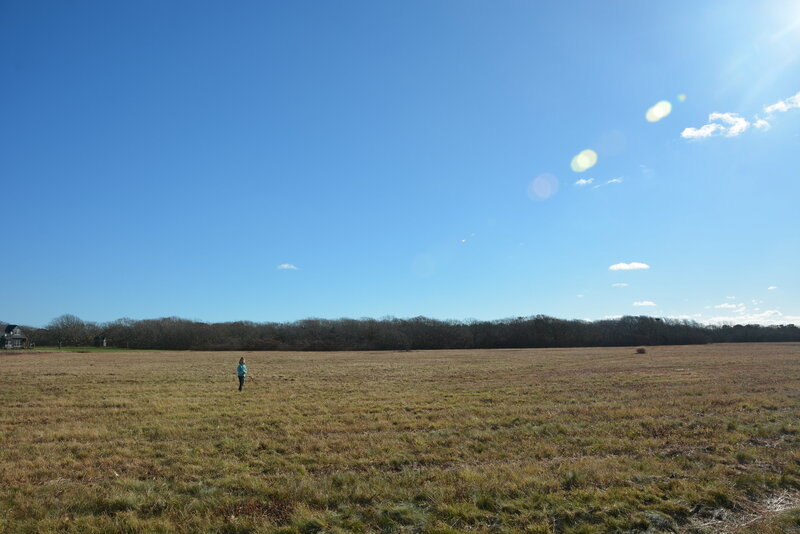 This Saturday, join with conservation-minded friends at the Sargent Gallery in Aquinnah to protest these attacks on our public lands. There will be a brief presentation followed by a trip to the Cliffs. For directions and more info, see Gallery website, or call (508) 645-2776. Calling all kids! Join BiodiversityWorks and other Island conservation organizations for a fun introduction to birding. We'll practice with binoculars and spotting scopes, then head out to observe birds in the field. Afterward, we head back inside for a tally and enjoy some hot drinks and snacks. This free event is intended for kids 8 and up and their parents, but there will be bird-focused activities at the barn for younger ones, so feel free to bring your entire brood. Please preregister by email or call (508) 627-4850. Also, volunteers are needed — please email Luanne for volunteer opportunities. At Mass Audubon's Felix Neck Sanctuary, for more info and directions see website. 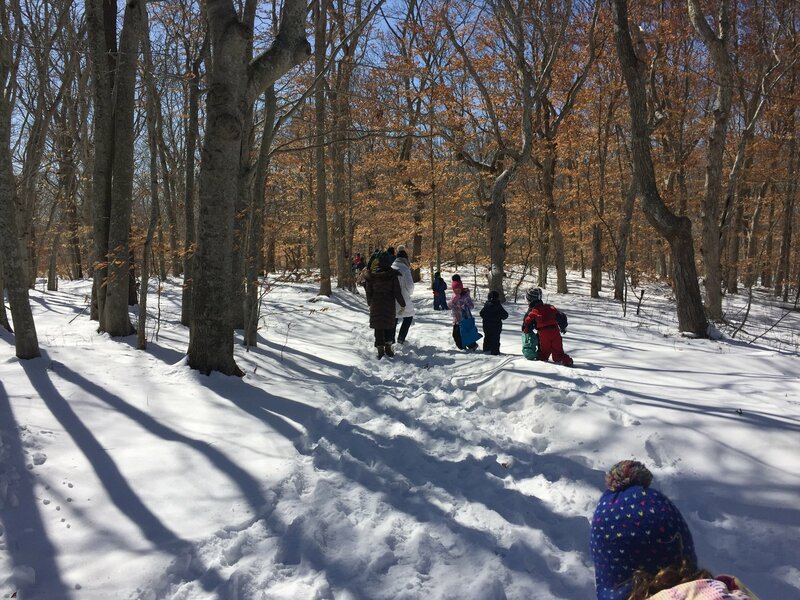 Our previous Featherstone outing featured a snowy hike followed by a tile mosaic craft activity led by Miss Lani (photo below). This fall's return trip promises a new craft project . . . and much, much less snow. 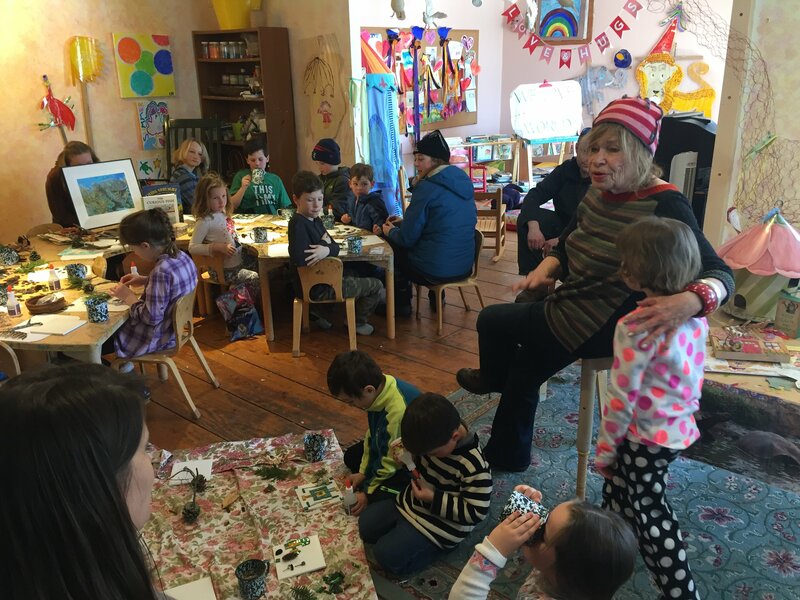 For our December Winter Walk we have planned a family-friendly collaboration with Featherstone Center for the Arts. After a hike through the nearby conservation lands (including a visit to a historic pumping station) we will return to Featherstone for a crafting activity. Coral from FCA will guide kids in a print-making project, using seasonal plants to make nature-inspired cards. The event begins at 10 am and is expected to last about two hours. We hope to see you there! Featherstone Center for the Arts was founded in 1980 to develop community through the arts. 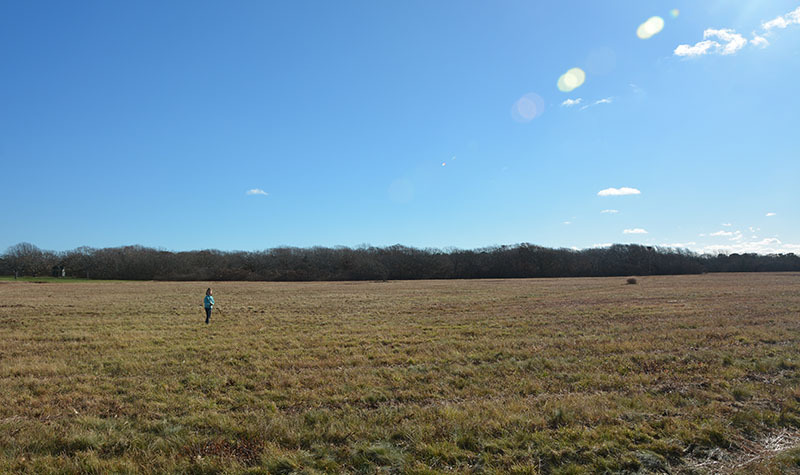 Their 6.5-acre facility is adjacent to more than 200 acres of Land Bank holdings at the Southern Woodlands (conserved in 2004), one of the last large undeveloped pieces of land in Oak Bluffs. A promising new program is underway during this fall's deer hunting season. A collaborative effort among the Island's Boards of Health and local non-profits will allow hunters to take more deer than they otherwise would, while ultimately providing nutritious venison to the Island Food Pantry. To learn more about the program, and it's origins in efforts to lower the deer population to combat tick-borne diseases, please see this story in the Gazette. We have often heard from informal surveys of local hunters that they would happily take more deer if they knew the meat would go to good use, but one serious impediment is that processing deer is difficult, time-consuming work (or, if you have someone do it for you, expensive). Many thanks are in order to all involved, including Island Grown Initiative for organization and Jefferson Munroe of The Larder for doing the processing in his facility. 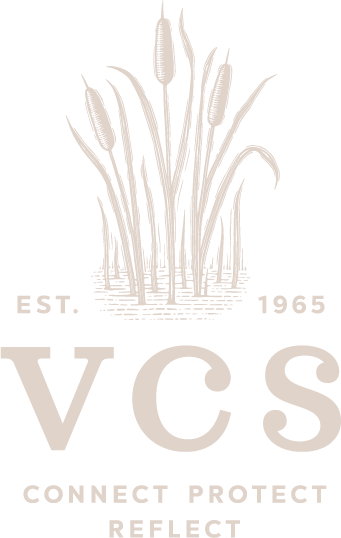 Overlooked in the Gazette story (understandably, with so much to convey regarding the complexities of battling tick-borne ailments), is the conservation importance of deer reduction (i.e., why VCS would be involved at all). With no natural predators remaining, and a landscape that has increasingly been fragmented by humans into ideal deer habitat, the Vineyard's deer population has grown excessively large — to the detriment of biodiversity, and possibly themselves. 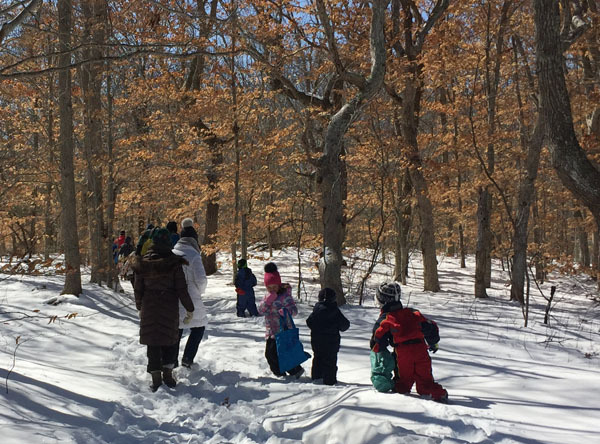 A small but hardy band of about 25 gathered for our first Winter Walk of the season, a trip through the fields and forests of the Quenames and Black Point Pond area. See the rest of the photos here.